Les Mustaches! On the Run! 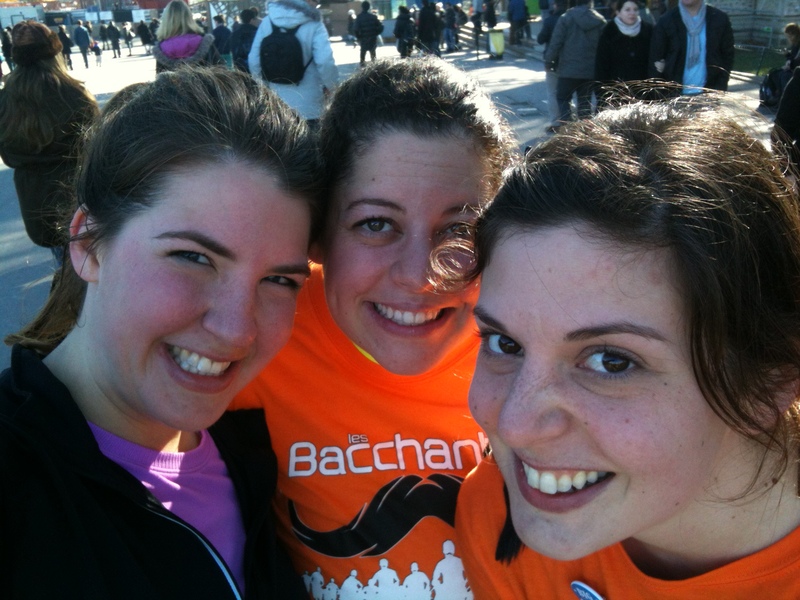 Yesterday in the theme of November/Movember me and my friends ran a 8K in Paris called Les Bacchantes. 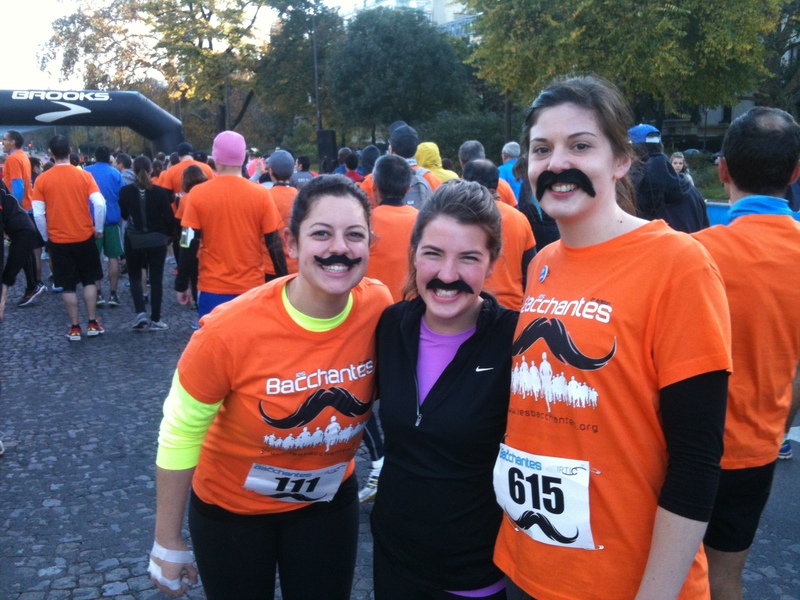 The only requirement (well besides hopefully finishing the race) was to wear a “stache”. haha! Found one at a Halloween store! 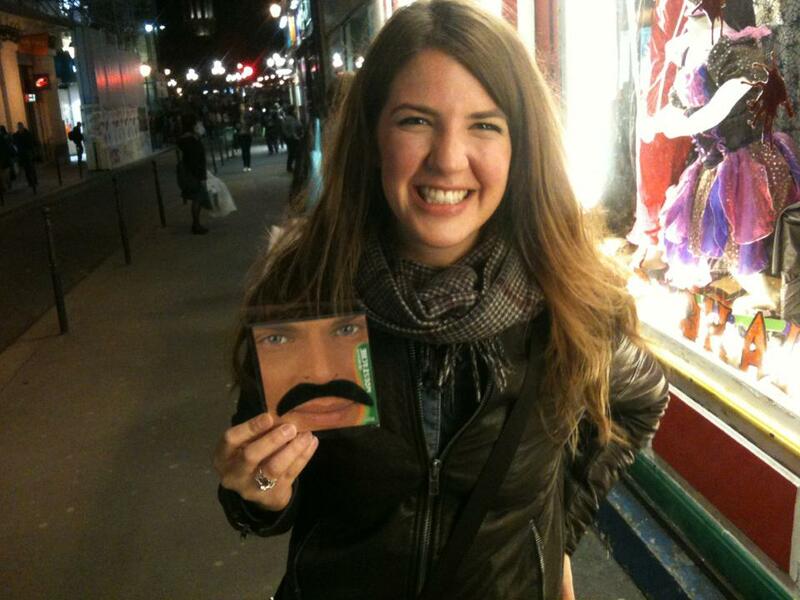 And got a surprise mustache for Jenni… bahahaha – which knowing me should have been pretty easy to guess. We met bright and early (8:30) chez moi! 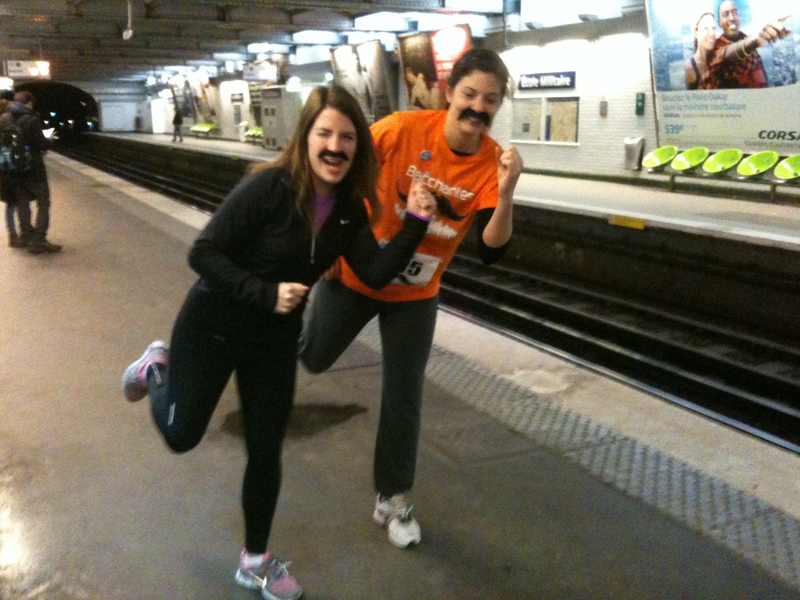 and then after securely fastening our mustaches on, we headed out to the race! We’d celebrated Thanksgiving the day before and boy that was resting in our stomachs. oh and I had a scary blood shot eye. haha! Jenni- sporting the… wait for it…. Western mustache I picked out for her. haha! 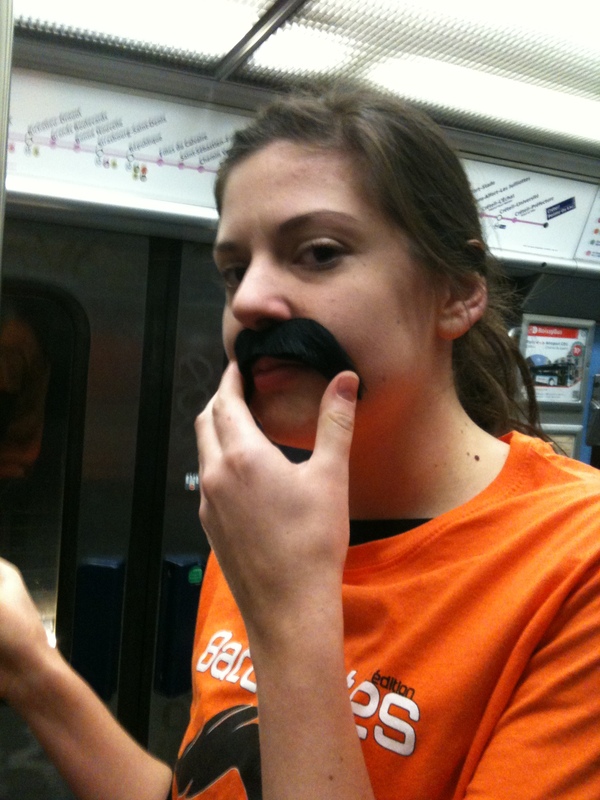 If only there were handlebars too..
A couple warm up laps at the metro, some weird looks, and trying on some accents to match our staches- mine ended up Russian for a bit and then there was Tina’s meatball comments. ..
We made it to the start and met up with the Frenchman and his friend! Who took a much better photo of us then my one handed attempts earlier in the day. We’re ready!! Nope- warm up first! A little dancing, stretching and good to go! On y va! The course was beautiful!! It started at Avenue Foch close to the Arc de Triumphe (we could see it in the distance) and then went through the woods called Bois de Boulogne that border the left side of Paris. The leaves are changing so just imagine running through the woods with bright reds and yellows and you’re there. 🙂 Pretty! The race was fast! So fast that my mustache blew off in the first 2K. 47 minutes for us at a 9:40 min/mile pace. Woot! Go team! After was- cake, tea, soup and then the usual oranges, apples, Goo chews and water. tehe! 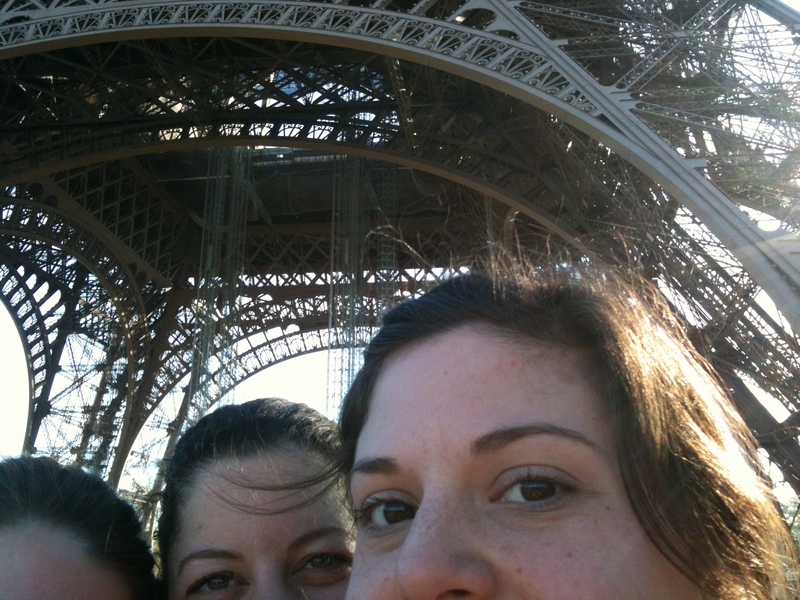 Then some post-race pics at the Eiffel, because why ever not! Ai Ai! Mexican Fiesta #2 + Guacamole Essentials!